This year the Leitrim GAA Supporterâs Club celebrates its 21st anniversary of its foundation in 1986 by the present Chairman of the Dublin branch Mr Eamonn Duignan. 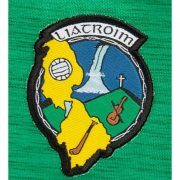 In the mean time the supporters club has been very active in fundraising for Leitrim GAA, and has in the past number of has been the main funding source for our inter county teams at all levels. This years draw will take place on Saturday night March 31st in Coxâs Steak House Dromod, and presently all supporters of Leitrim GAA are being asked to contribute and make this draw the best to date. For this years draw there are 10 very valuable prizes , which have all been donated by businessâs locally, with the first prize  5000.The tickets cost 40 and everybody who joins the supporters club will receive the 2007 car sticker. The car sticker is a great method of displaying your support for the team, and as you travel to the various games whether it is league or championship all cars displaying the Leitrim GAA Supporters Club car sticker is a great show of solidarity and support for the team. Presently Leitrim GAA are also involved in two major developments , with the construction of the 3000 seated stand at Pairc Sean due for completion in May 2007, and the two training pitches ready for the final surface to be laid also in May of this year. With those two major projects continuing along side each other it is very obvious that Leitrim GAA are working very hard to provide facilities of the very best standard for both players and supporters.